Lexus GS 350 with many features, including spoiler, keyless go, xenon headlights. Grey/Silver with tan interior. Automatic GCC spec Lexus GS 350 with 19 inch wheels, analog clock, rear wheel drive, burgundy interior, grey/silver exterior. Automatic Lexus GS 300 with 18 inch wheels, navigation system, heated seats, red on the outside, beige interior. GCC spec, black 6 cylinder sedan with burgundy interior. It has climate control and traction control. 2014 Lexus GS 350, priced at AED 77,000, with features such as USB, phone set, keyless go. It has red interior and is Black. Imported spec. 6 cylinder black 2014 sedan. Burgundy interior. Tuner/radio, 19 inch wheels and airbags (front and side). Price: AED 72,000. 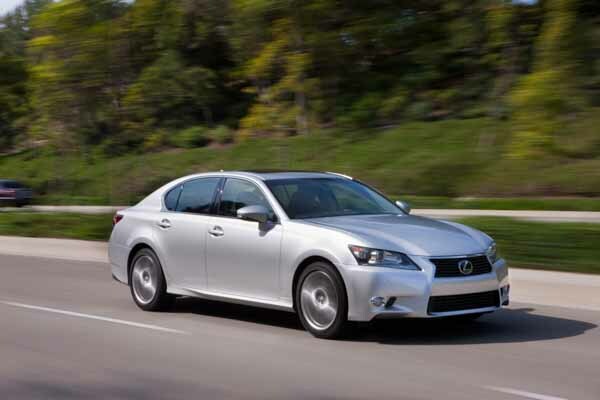 Imported spec GS 350 from 2013 for AED 55,000 with a 6 cylinder engine. Grey/Silver sedan with brown interior. It has airbags (front and side) and power windows. 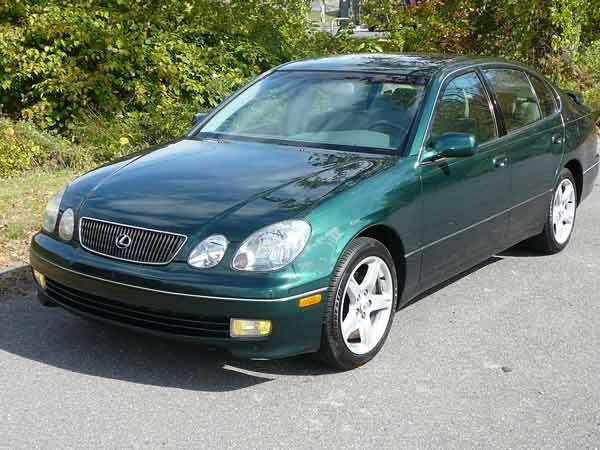 Ahmed - Import Lexus GS430, fantastic cars. Looks amazing especially in its current generation and interior options are just right. No shortage of luxury inside and it’s got a powerful V8. Pros: Options, Style and engine. Cons: No all wheel drive option to buy in GCC spec. 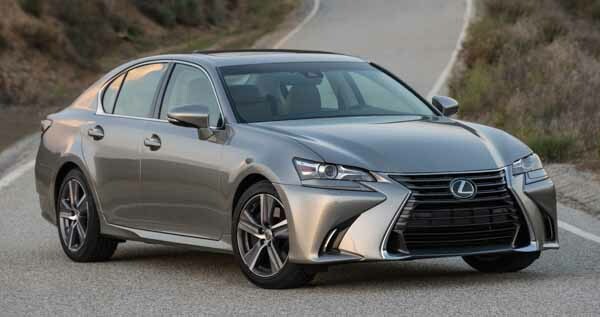 Callum - I bought a second hand Lexus GS350 F Sport a few months ago and at first I was not entirely taken by the cars, but after a few weeks I can’t believe I nearly bought an Audi. The Lexus is not only light on fuel even with a V6, but it also looks good and has incredible handling. Was going to get one new, however with full options is pricey. Highly recommend anyone to buy a GS sedan. Pros: Fuel efficiency, power and handling. Cons: High price with options. Kyle - I couldn’t leave my pre-owned Lexus GS300 in America I just had to export it to Dubai when I moved here. Perfect car for daily driving fits right in here in the UAE as there are a lot of them here and for its age, the options are top notch. Pros: Specs, Parts are easily available and engine. Cons: Style is a bit bland. It’s Japanese, meaning it’s got fantastic resale value as GS models and any other Lexus are extremely popular in the region, especially pre-owned Lexus GS300 for sale in Dubai, UAE. Over the years a multitude of engines have been made available, there’s a V8, V6, inline 6 and inline four cylinder motors. Luxury stretches from the top trim all the way through to basic trim levels. Even though there may be a powerful engine under the bonnet of the GS sedan, there are fuel efficient which is always a bonus. Out of all the Lexus models available, GS cars handle like a dream. 1993 saw the first Lexus GS sedan roll off the production, although it was seen a few years earlier in Japan where it is badged as a Toyota Aristo. GS models sit on the same level as ES sedans and slots between the IS and LS series. During its first few generations, GS models had unique features, dual front headlights being the most noticeable. Road Rivals: Audi A6, BMW 5-Series and Infiniti Q50. Entering its second generation, the entire exterior is reworked with not only split lights up front but also at the rear too, giving the GS a unique look compared to other Lexus sedan models in the line up. Standard features of the time include fabric seats, basic power accessories and radio tuner. Additional options include; a sunroof, leather upholstery, CD player, power accessories, power seats and rear spoiler. In this generation, the GS 300 equipped with a straight-six 3.0-litre motor, GS 430 equipped with a 4.3-litre V8 and the GS 400 with 4.0-litre V8 are on offer from the Japanese manufacturer. All have power sent to the rear wheels via either a 4-speed or 5-speed automatic transmission. In Japan, the Toyota equivalent received a turbocharger whereas export markets did not. 2000 models and onwards have a slightly altered front end, clear rear lights and clear side indicators. New wooden trims and buttons added to the steering wheel. GS 300 models received a special edition with wider wheels, alloys, perforated leather seats, brushed aluminium and dark stained walnut wood trim. Prices for a used Lexus GS 300 for sale in Dubai, UAE in this generation starts at AED 18,000. Entering its third generation, the dual headlights stay alongside an overhaul to the GS’s exterior. The interior is also upgraded from the previous generation and follows that of other Lexus models. GS 350 took over from the GS 300 in this generation. Most standard features of the year's return with a few extras now transitioning to basic options. Cruise control, Xenon headlights and power seats are three that stick out. Additional extras include ventilated seats, touchscreen navigation system, premium sound system and media inputs were added to the list. Previous power units carried on with the only exception being the 3.5-litre V6 replacing the 3.0-litre. In 2008 the GS 430 nameplate was retired and replaced with GS 460. Powered by a 4.6-litre V8 engine powering the rear wheels (some markets received all-wheel drive)via an 8-speed automatic transmission. In the same year, the entire range received a facelift, redesigned steering wheel, unique trim pieces, new alloys, exterior colours and turn signals moved from the side front quarter panels to the side mirrors instead. Looking for a second hand Lexus GS 430 in Dubai, UAE? Or any other GS series sedan? Prices starts at AED 40,000. Entering its fourth generation, dual front headlights morphed into single units, and more aggressive styling is added to the front end most notably around the air ducts. In this generation, a drive mode selector and analogue clock are introduced as optional extras. Three driving modes; Eco, Sport S and Sport S+ are available all of which adjust various aspects of the vehicle. All previous standard features transition their way into this generation with leather upholstery now coming as standard along with media inputs, power seats and a sunroof. The touchscreen interface is replaced with a Remote Touch mouse system located in the centre console. Optional extras now include heads-up display, blind spot monitor, lane keep assist, and a driver monitoring system. F Sport models and packages make their debut in the latest generation. Specific parts of the body are different as are the rims and badges of course. Inside, there are minuscule differences between F Sport and standard models such as leather colours. All previous models and engines return with minor adjustments to the output and fuel efficiency. 2016 models and onwards receive a brand new face bearing a similar resemblance to that of the LX 570, most prominently the grille. However, the headlights are similar to other Lexus sedans. The GS 200t was added to the lineup with a 2.0-litre inline four powering the rear wheels.